This column believes that variety is the spice of life, and was hoping to move on from wind energy to opera (not least because I have a book coming out on the subject). However, it is hard to resist the appeal for enlightenment from Mr Ian Kerr of Chapel House, who enquired last week why wind farm “whingers” like me never seem to “name and shame” the “wealthy landowners” who are “really gaining the most from these developments”. As one who loathes balls and has never been invited to Christmas drinks at any “big house” in his life, I can assure Mr Kerr that no sinister conspiracy is involved. If I have not swung my sword of truth and justice at greedy and selfish landowners in the last couple of weeks, it has mainly been down to shortage of space. Plus the fact that most take care to keep their identities well out of public view when turbine planning applications are made, preferring to shelter behind the energy companies or their agents. I have seen three names so far attached to the Follions application about which I have written lately, and a fourth person turned up to speak in favour of the plans to a stonily silent council meeting. None was the farmer whose land is involved. Given the level of anger aroused among his immediate neighbours, so evident in their objections to the planning application, it would be fascinating to know what degree of financial need drives anyone to pursue a course so likely to make him a pariah in his own community. But I believe that Mr Kerr is wrong about the division of the spoils. Wind farms rob money from all of us, through the huge subsidies that are ultimately added to our electricity bills. They particularly steal cash from those who have invested in businesses like holiday cottages and other tourist attractions whose entire appeal is based on being located in unspoilt and peaceful countryside. They then transfer this money chiefly into the pockets of the largely foreign-owned “green energy” companies and turbine manufacturers, who have latched onto Northumberland as a county too sparsely populated to mount an effective resistance to their cynical and calculating efforts. In which category one must undoubtedly place Energiekontor’s recent submission of their planning application for the Belford Burn wind farm at a time when so many potential opponents may miss the two week window to file objections, because they will be enjoying their summer holidays. Yes, landowners are beneficiaries, too, and the sums involved can be very substantial. If you own a chunk of Northumberland moorland but live in Mayfair or Monaco, the temptation to cash in is obvious. But those “wealthy landowners” who actually live on and care for their estates seem, on the whole, worthy custodians of our shared heritage. 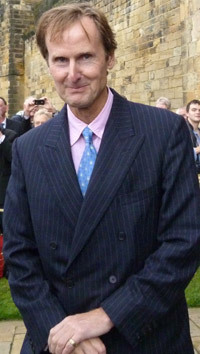 The Duke of Northumberland’s views on wind farms are well known, while among the most cogent arguments against the Follions application were those filed by the trustees of the late Lord Armstrong. In our still semi-feudal county society, there may well be eager “greens” who feel browbeaten into silence about the wonderfulness of wind turbines because the local squire is against them. Just as there are certainly others who feel they cannot speak out against applications on their landlords’ farms for fear of eviction. Personally, I would be happy to give the responsible great landowners a more formal role in the political process, perhaps by offering them seats in a second chamber of Parliament. Why has no one thought of that before? But anyone who loves and defends the beauty of Northumberland is on my side, very much including the 14 county councillors who last week voted unanimously to overturn the advice of their own planners on Follions. 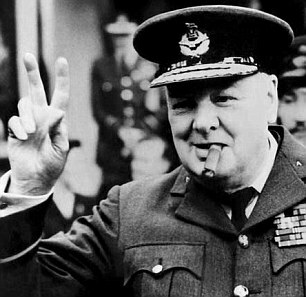 When Churchill visited Cambridge during the war, it is said that he was bearded by a woman angry because the college grounds had not been turned over to vegetable production. Take a drive out of Chapel House, Mr Kerr, and admire the sheer glory of unindustrialised rural Northumberland while you still can. That is what we “whingers” are fighting for.